All artists and photographers know that a poorly made print is the worst way to represent the creator, and the experts at Canvas Giclee Printing are here to fix that. 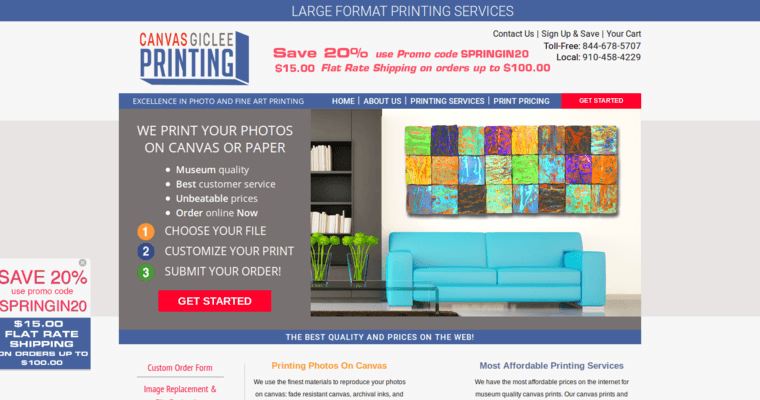 Owned by a professional photographer, Joshua McClure and his employees understand the value of quality and cost-effective printing in the art world. 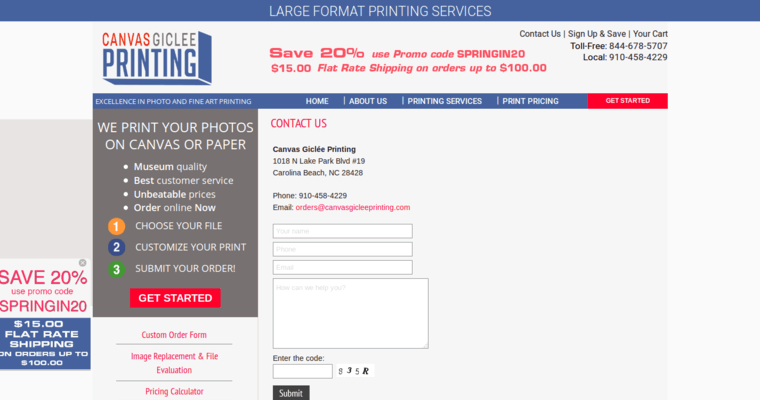 Here it is as easy as submitting a file, customizing your order, and hitting submit. With different finishes, image wrapping options, and both paper and canvas printing options, you can get a print for any occasion with only a few simple steps. Canvas Giclee Printing is a resource that allows photographers and artists to continue creating while its professionals ensure the best representation of your work.